It must have been about two years ago when I met my first fox and it was love at first sight. 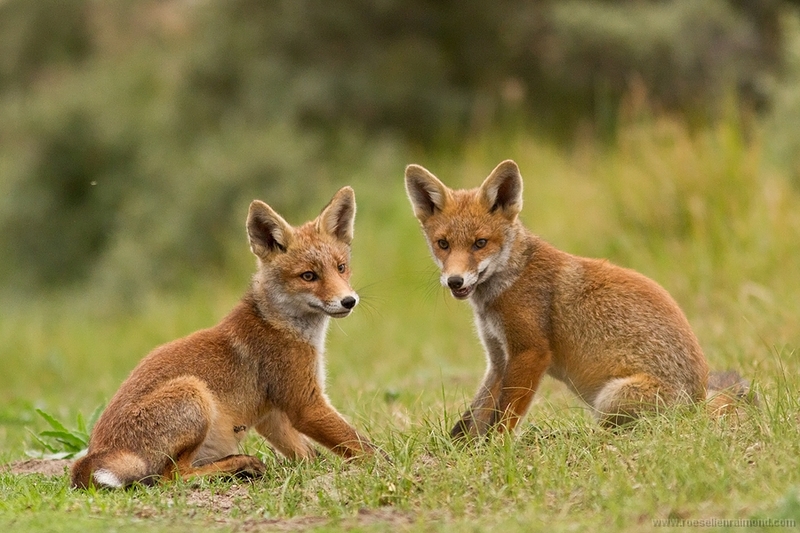 I had always been fascinated by fairytale foxes, so well known for their slyness and intelligence. I’d never have dreamt though, that a real fox could be even much more beautiful, social, creative and surprising than his fictitious version. 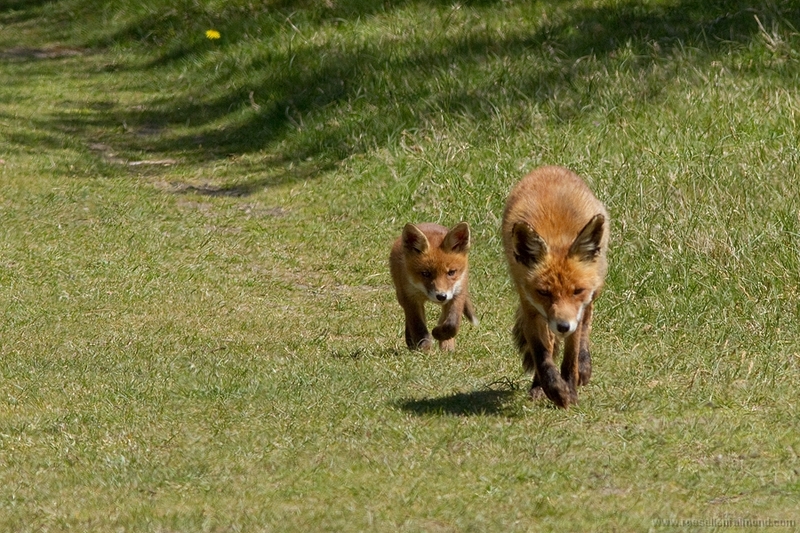 Since that day I immersed myself in fox behaviour. I’ve seen them crawling, hugging, fighting, eating and hunting. I admired them in their pretty winter fur and in their rumpled summer coat full of ticks. 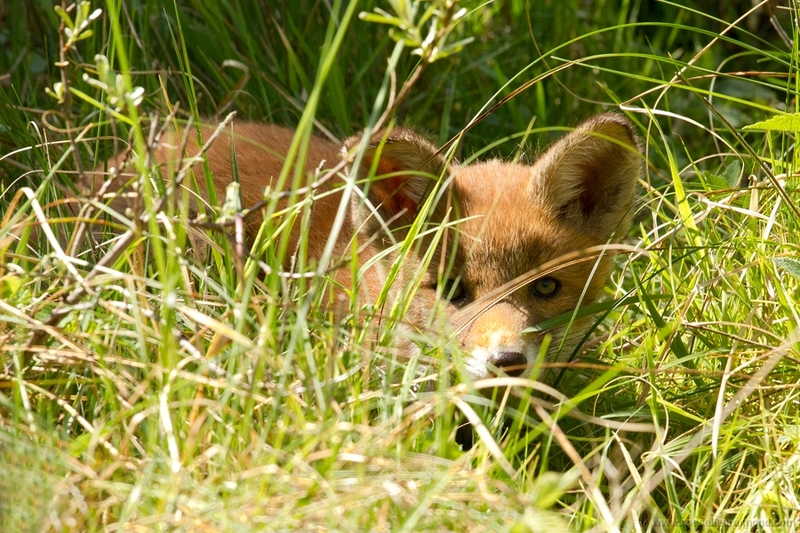 The cub was very shy, the harsh light ruined my photos, but…it sure was an unforgettable moment! This encounter made a big impression and I decided to test my luck again this spring. That turned out to be a little trickier than expected. 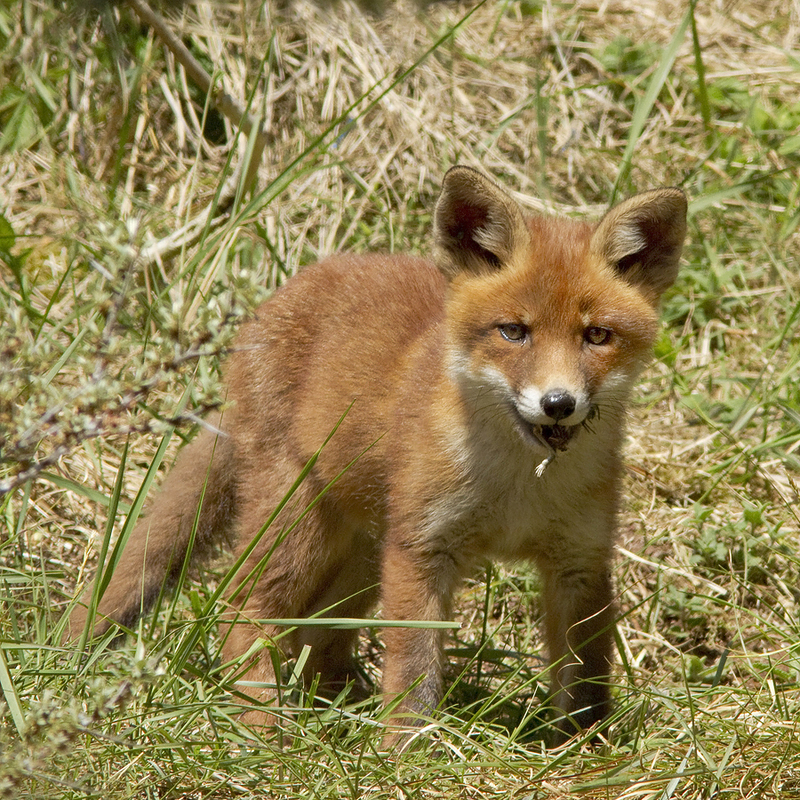 To put it shortly: I must have walked more than 200 miles, spent two full weeks in a train to get there and waited two very boring days staring at a (abandoned) fox den. And then, on yet another ridiculously hot day, after another 20km of trudge, I plopped down on the grass, all sweaty, hungry, tired and pretty effing frustrated. He friendly asked me how I was doing…. 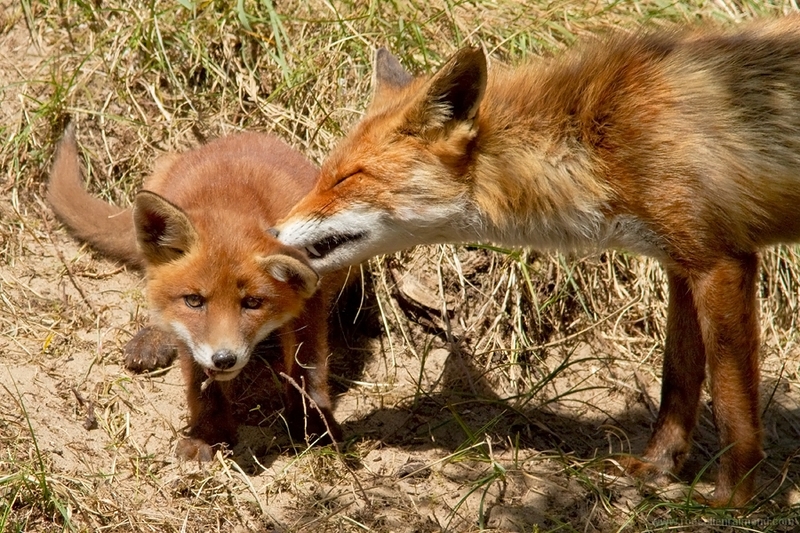 Me: “Well….I’m completely fed up with these Foxes. I’m trying so hard, but I just can’t find them. Me: “Maybe, but how could I not be eager….? Me: “Easier said than done, but I guess you’re right. I ‘ve waisted so much time and energy: Enough is enough. I’m done. I give up. I ‘m letting go NOW!. And -I’m not lying- at that precise moment, a vixen came running by. The way she walked somehow triggered my last bit of energy. Just when I was about to joggle back, I saw something red wriggling in the bushes. So I moved a little closer and to my big surprise I found these three tiny cubs being suckled by the mother fox…d’awwwww! A moment I will never forget. I was too close to take a decent picture and in order not to disturb them I just made one photo and sneaked away from the den. I went back one more time but realised that I wouldn’t be able to make photos without disturbing the family. Photography is really important for me, but not all costs. 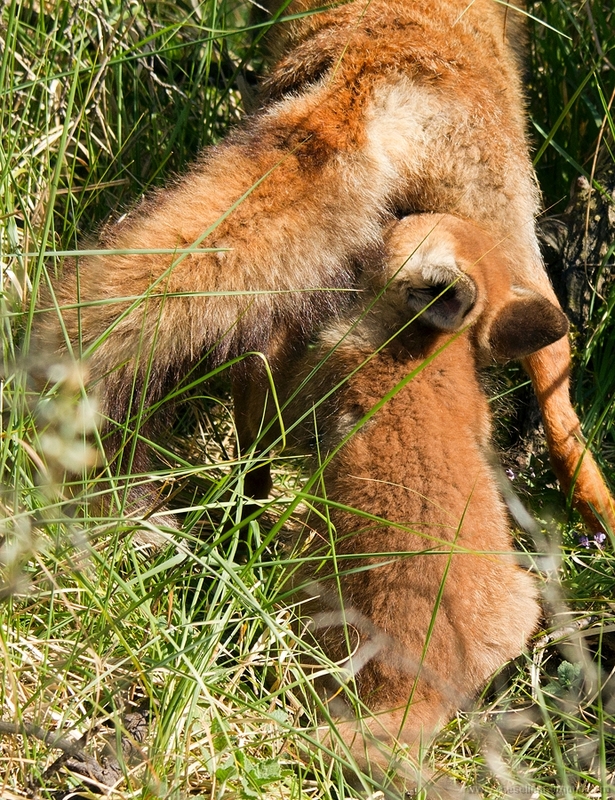 So it took another month for me to visit them again,but….I found my fox family and I had the chance to witness them grow up to be the strong and healthy foxes they are today. wow… What a experience. Such are the true treasures of life. This blog most certainly is a treasure trove in enounters with our animal kin. And with your third eye or lense may be you capture it for all to see. I just found your blog by way of 500px. This is an incredible story, and I love the lesson of the White Indian. We were having an animated discussion here after visiting the Snowy Owls in British Columbia. Those poor owls are literally stalked by aggressive photographers everyday. And, when I convened with my closest photographer friends, we all agreed that our best images derived from simply being in a moment … when the animals came to us. The chase may render a few good images but I think something is compromised in that process. Your post, your photos exemplify the concept of “being” with the animals, in a most beautiful way. I’m glad I found you! Cheers.